Our role in the work is to bring data from a variety of sources into the project and make it available, via an API, to other project partners to provide the services. We anticipate bringing in data such as public transport schedules, live running information, bicycle scheme points and occupancy and so forth. We will also be doing work, alongside all the other partners, on user needs and requirements in the early part of the project. ScraperWiki has been a partner in the very successful NewsReader project of FP7. We enjoy the stimulating environment of working with capable partners across Europe, if you are building a consortium to make a proposal then please get in touch! 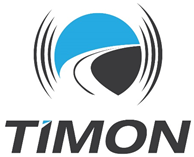 You can find out more about the project on the TIMON website, and follow our accounts on Twitter, Facebook and Linkedin. Or if you’d like to get in touch with ScraperWiki directly to talk about the project then contact on hello@scraperwiki.com. Got a PDF you want to get into Excel?